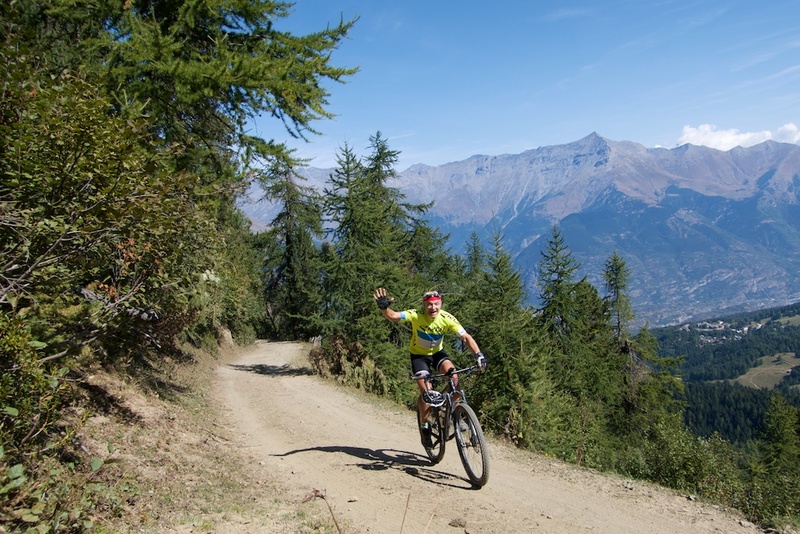 Roughly 2300 metres of ascent in a single climb! 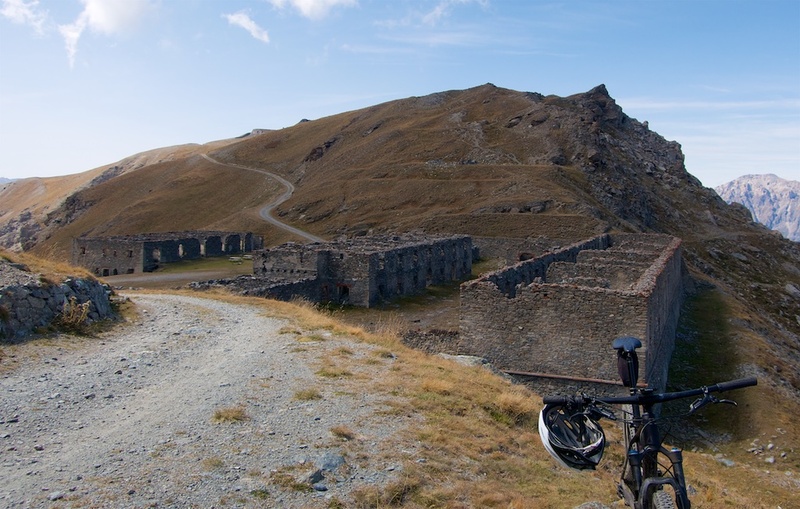 This ride, like the far better known Colle delle Finestre, starts in Susa. 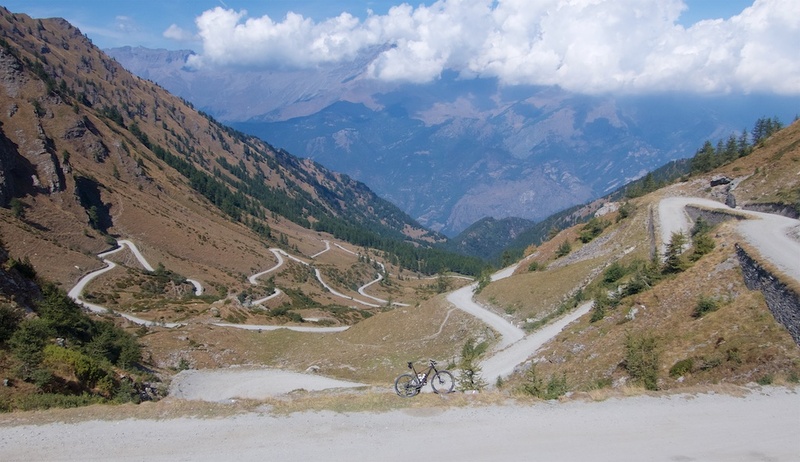 But it goes more than a half a vertical kilometre higher, eventually descending down to Finestre. I have written extensively about the fabulous Strada dell’Assietta/Finestre network of high gravel 19th century military roads in northern Piemonte. See here for a complete overview. In the link I recommended five huge rides, but had only ridden four of them. This is a version of the fifth idea. Starting from Susa, it only takes a kilometre to get onto a quiet road (see map at bottom). The first thirteen kilometres or so are paved, hair-pinning up to the ski station of Frais. I made a small detour to visit the perched 12th century chapel at La Losa (1201 metres) – not that impressive. Just before Frais, is a “via Gran Serin” sign indicating a left turn onto the old military road built in the 1890s. 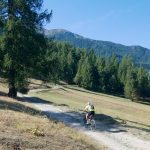 Note, instead of the paved road from Susa to Frais, there is an unpaved option from Chiomonte (see pink route in that top link). But I was trying to make a Susa loop without using any busy roads in the valley below. 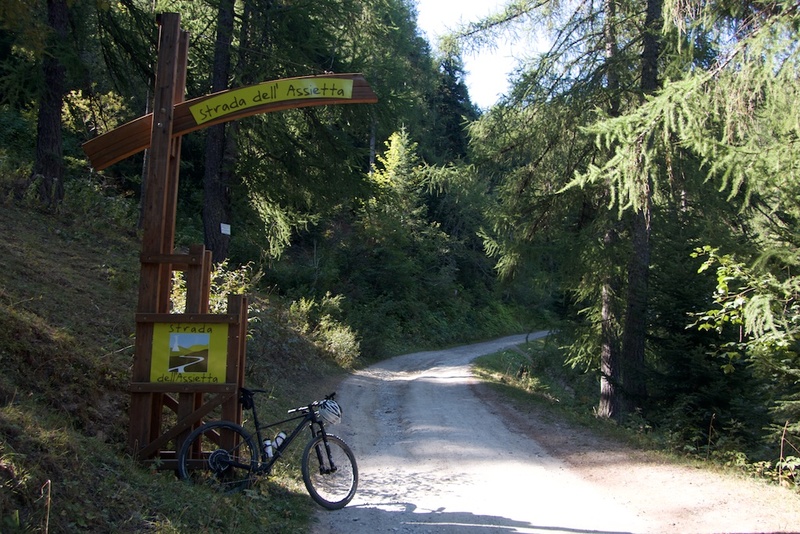 As the gravel began, I passed through a Strada dell’Assietta “gate.” I’ve seen this gate at several other entrances to this road network: At Col Basset (above Sestrière), half way up Colle delle Finestre (where the gravel starts), and near Sportina ski station. Technically, I wasn’t on Strada dell’Assietta, but I was on one of the original old roads. Excellent. The next 8 kilometres are great, but very difficult. With grades often well into the teens often on a slippery gravel surface. 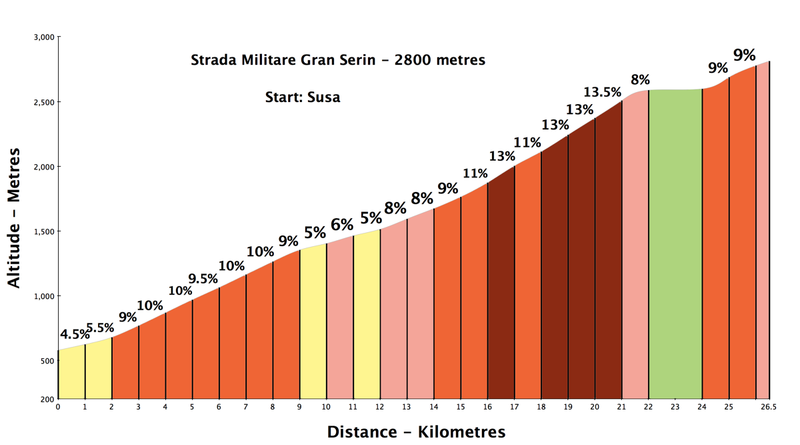 At something like 2550 metres the route finally intersects with the Strada Militare Gran Serin – Finestre. 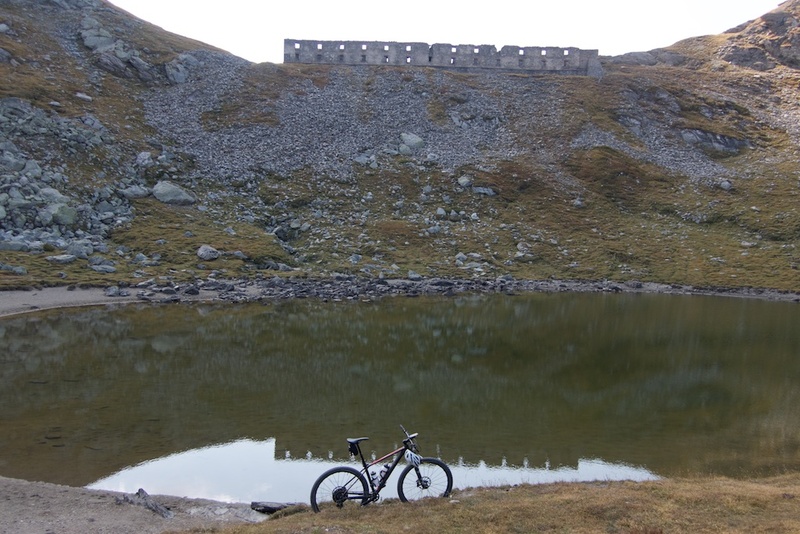 Just above a little lake is the Gran Serin barracks. A bigger Gran Serin fort is perhaps half a kilometre west. Here you have a choice. A right turn leads to Colle dell’Assietta (2472 metres) and the Strada dell’Assietta. But I would go left. 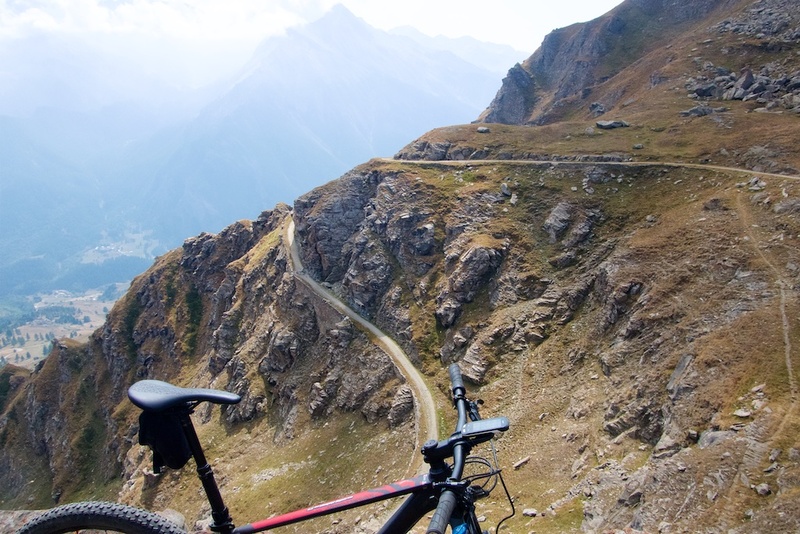 Heading towards Colle delle Finestre. The link at the top of this post has a detailed map explaining route options. At this point, I’d already climbed 2000 metres, but I was going higher. 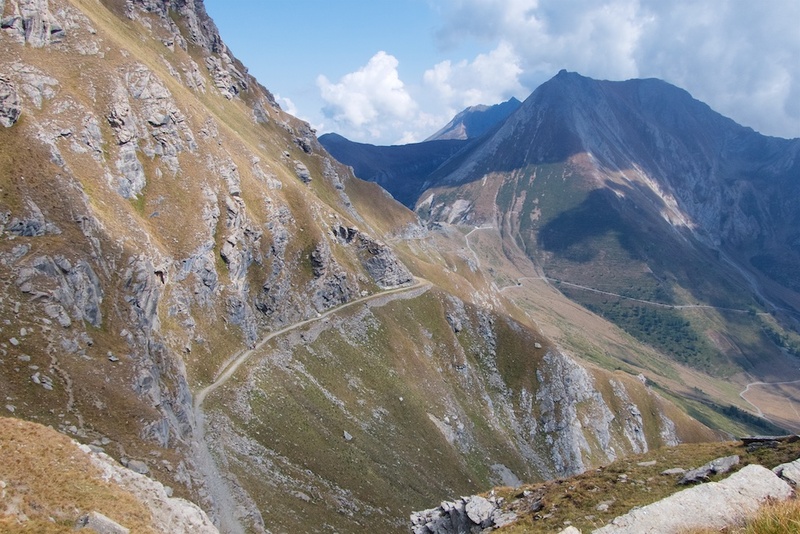 Hyperbole Alert: This next stretch climbing to 2800m or so then descending to Colle delle Finestre (2178m) is perhaps the coolest stretch of gravel road I know. It passes over 3 cols (all labeled on the map below). I’ll shut-up and let photos try and convince you. 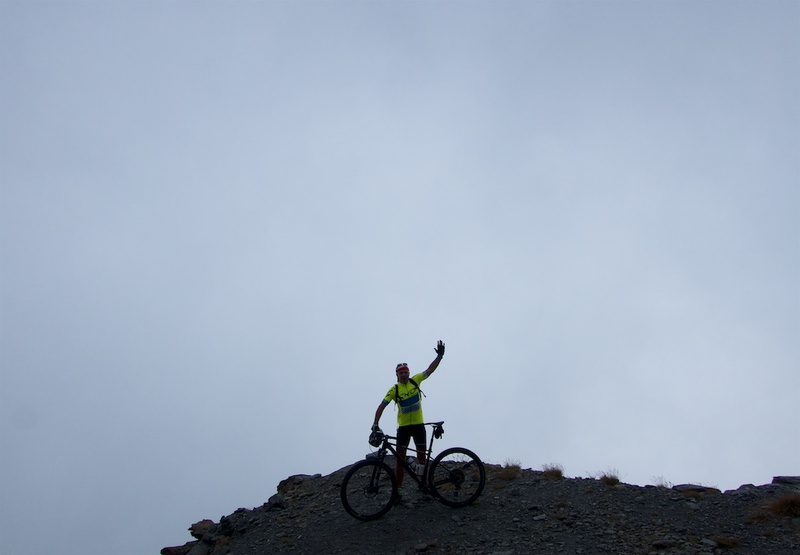 The high point of the route is somewhere around 2800 metres. There is no sign but it is just below La Cima (peak) Ciantiplagna (2849m). Clouds were rolling in as I arrived, so the views briefly disappeared. The top half of the descent is gravel. The bottom half is well paved with a crazy section jammed with 30 forested hairpins. Fun. What a loop! This was my fifth big ride on this network of old military roads. All very different from each other. All challenging, quiet, and so beautiful. 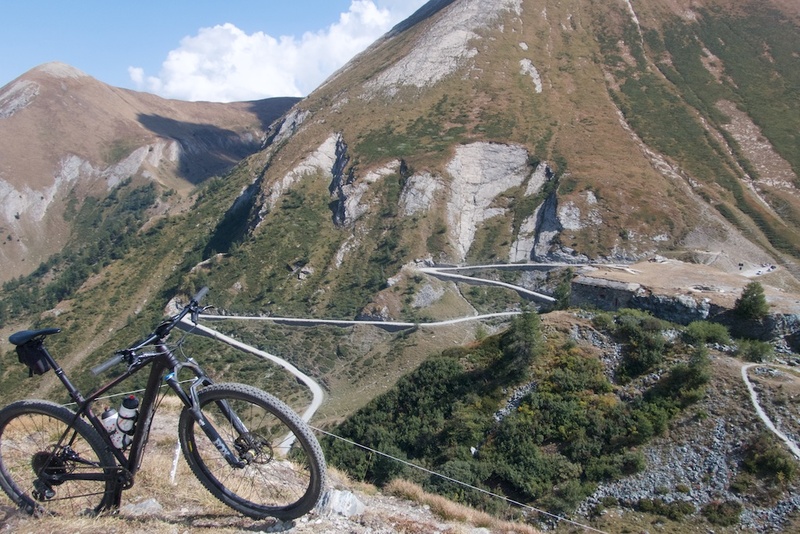 Northern Piemonte must have the greatest concentration of super high, ridable, unpaved mountain roads. 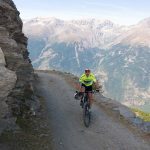 In addition to the Assietta/Finestre roads are nearby climbs like Mont Chaberton (3131m), Fort Jafferau (2805m), Colle del Someiller (2993m), Passo della Rho (2541m), Passo della Mulattiera (2412), Col de la Vallée Etroite (2434m), etc. 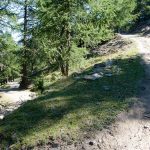 Next Article Passo della Mulattiera and Col des Acles. Wow! Now I know that I *need* a mountain bike besides my road bike. Great pictures and story, very inspiring. Looks amazing. 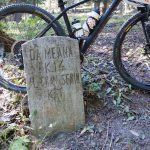 Any idea if this could be done pn a gravel bike with reasonably wide tires? Also, thanks for all the posts. It has neen my bible for riding in EU. No problem going up, the issue is descending …. as can be bumpy.